Tom Sawyer Island, located in Frontierland of the Magic Kingdom provides a chance for kids to use their imagination and enjoy some old fashioned fun. This low-tech island has all of the elements for some old fashioned fun for kids to enjoy at Disney World. 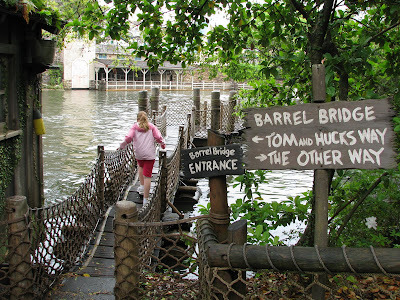 Tom Sawyer Island has caves to explore, forts to play in, and bouncy bridges to cross. 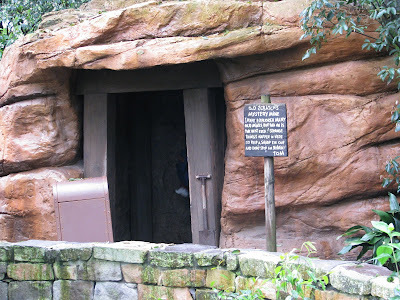 There are no thrill rides located here, but that is no reason to skip this attraction during your day at the Magic Kingdom. 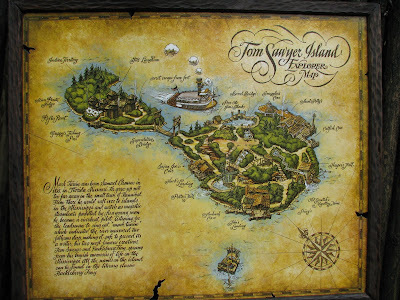 The island transports you to the make believe world of Mark Twain's Tom Sawyer and all of the adventures he encountered. 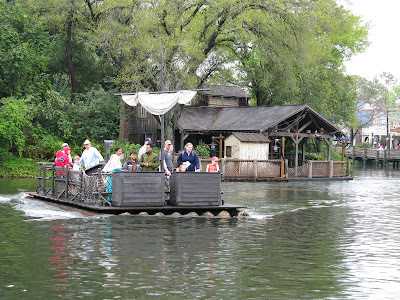 In order to get to Tom Sawyer Island, you have to take a raft ride from the dock near Big Thunder Mountain Railroad crossing the Rivers Of America to the dock on the island. hidden on the island each morning. If you find a paint brush take it to a Disney Cast Member to receive your prize, a FastPass for your party to Splash Mountain or Big Thunder Mountain Railroad. 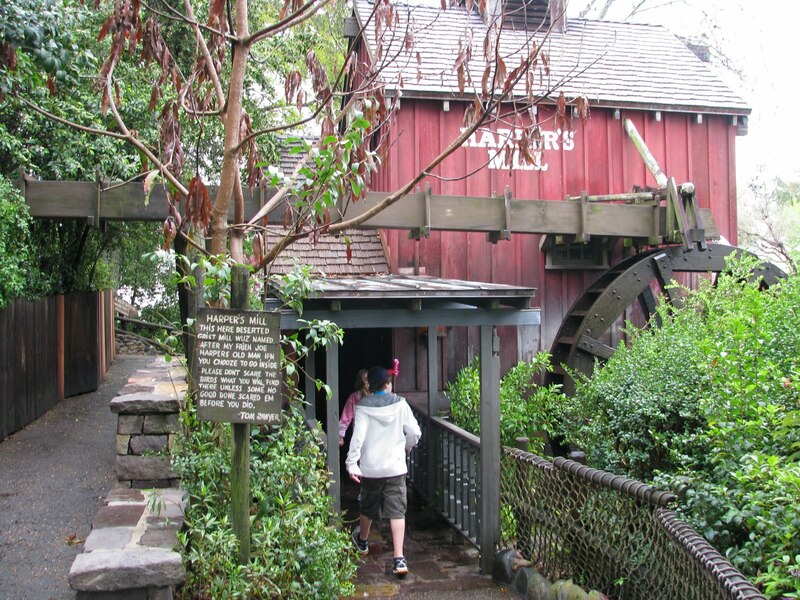 On Tom Sawyer Island you will find a variety of places to explore. These are the types of places that appeal to young or the young at heart. 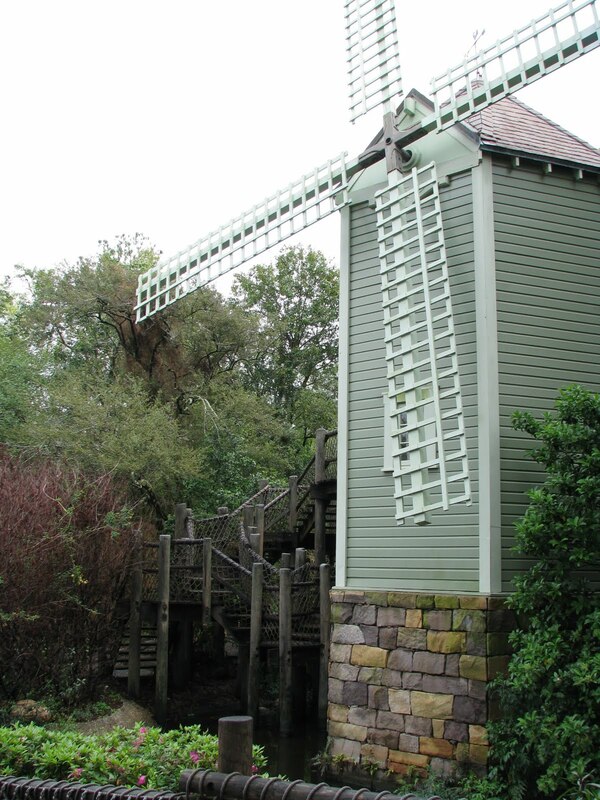 You will find a grist mill, windmill, a couple of forts, a mine to explore, a cave, and an underground escape tunnel. The Barrel Bridge is safe to cross, but the bouncy nature makes you wonder. Any bridges that move as much as this one provide great fun for kids. Fort Langhorn is the highlight of Tom Sawyer Island. 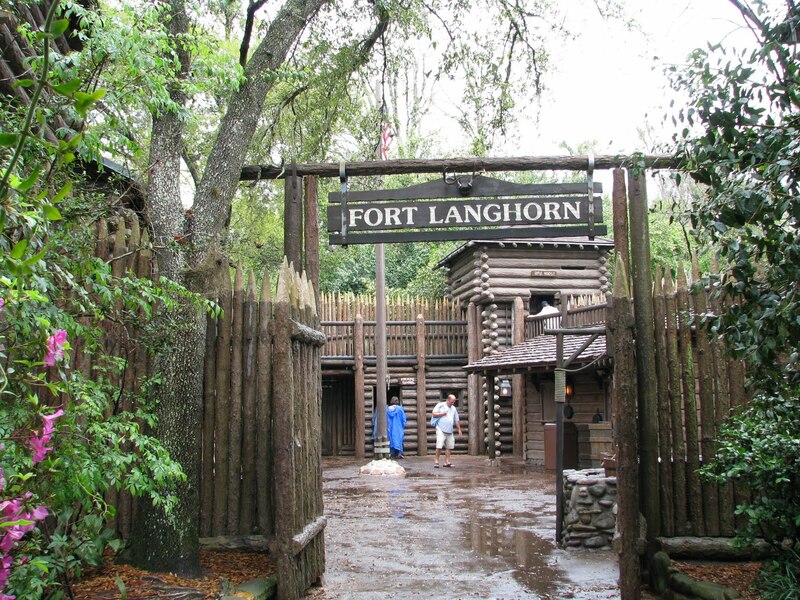 This realistic fort has a number of areas to explore, including rifle towers, where you can pretend you are fighting off an attack. There is also an escape tunnel that goes underground and allows you to sneak out of the back of the fort. Parents and kids alike to also use the island for a chance to slow down a relax away from the crowds. There are rocking chairs to enjoy and you may even want to engage in a game of checkers. The windmill provides another building to explore and transport you back one hundred years or more into America's Past. Finally the mine, the cave, and the escape tunnel provide three dark areas for the more adventurous to explore. You may think that today's kids may not care for this low tech adventure, but its not true. My kids love coming to Tom Sawyer Island during each vacation to look for paint brushes and just to play and explore. Walt Disney was the master of getting people to use their imagination and Tom Sawyer Island is just the place to use your imagination and play. 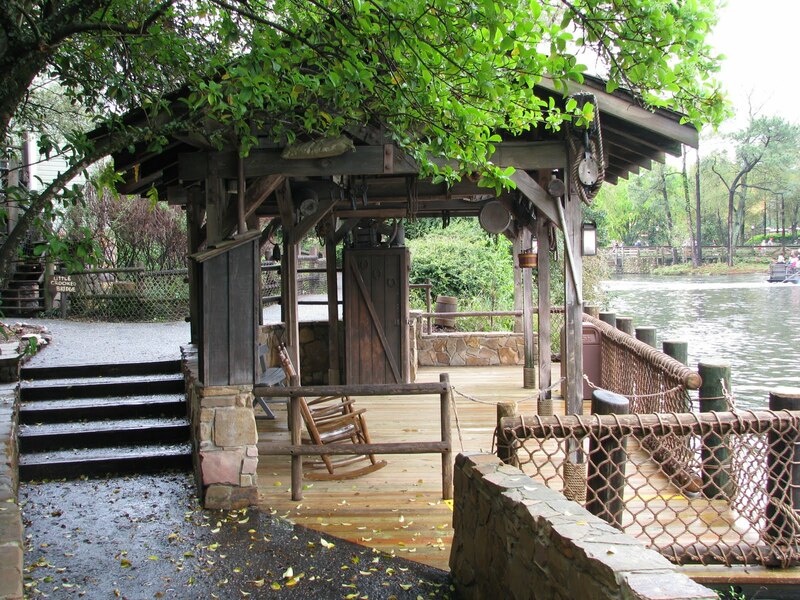 Tom Sawyer Island may not be at the top of your list of attractions to see at the Magic Kingdom, but it is well worth your while to visit. 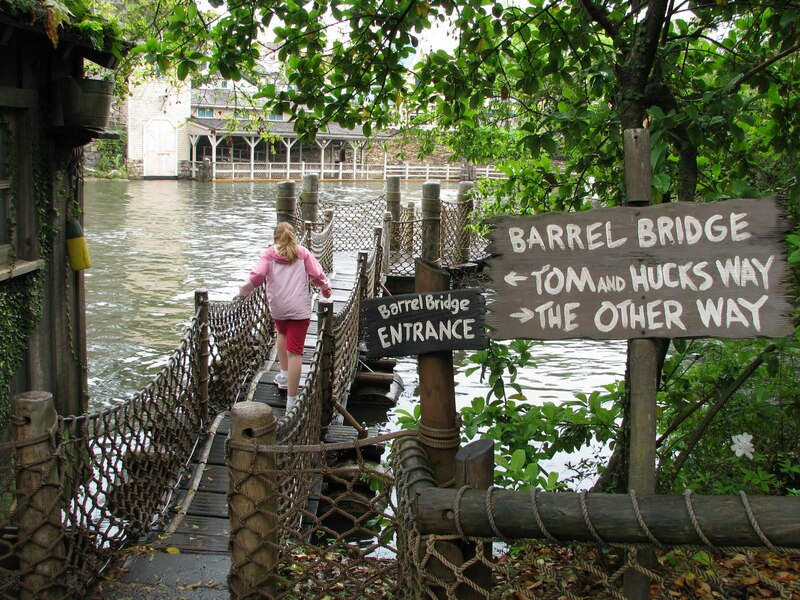 Unless you have access to the real fort and three tunnels to play in at your home, Tom Sawyer Island provides something special for kids to exercise their imaginations and play. So plan some time during your Magic Kingdom day to relax and play. 1 comments to "Magic Kingdom's Tom Sawyer Island Gives Kids A Chance To Play"
Just got back from Magic Kingdom. They no longer hide the paint brushes. BOOOOO! !